Our president wants to give billions of dollars to drug companies, for the avian flu, as if drug companies don't profit enough from us, with commercials on tv and drug pushing from inside our doctors offices. 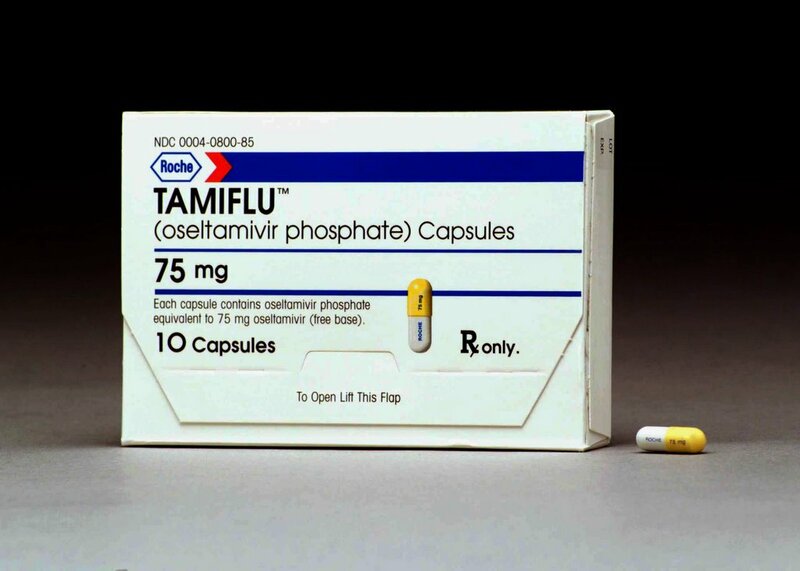 Tamiflu is the drug that we have been hearing a lot about from our government as, " the best defense we have thus far against the avian flu", a flu, mind you that has killed a mere 62 people globally. Tamiflu is a medicine that MAY ease the symptoms of the flu. 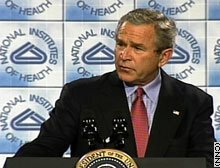 Not so long ago, just about every media outlet in this country began demanding that bushco get a plan for a possible flu pandemic, and most people took the bait, and became outraged, so the government ordered 2 billion dollars worth of Tamiflu. The drug is manufactured by Roche, but developed by a company called Gilead Sciences, a company that Donald Rumsfeld was once the chairman of, and as of the end of last year held a considerable amount of stock in. Rummy has more than likely profited quite nicely from this purchase, and will no doubt profit some more if congress OK's the presidents proposal. 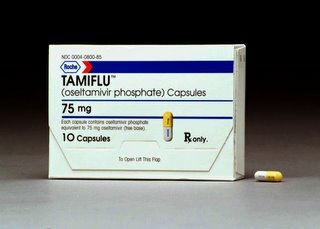 Tamiflu may only help if you get the shot before you get the sick, if you are already sick, no one really knows what it will do, maybe NOTHING. Its hardly worth the 2 billion dollars, that's a lot of money for an "unknown, unknown", and today the president announced he wants MORE. Billions of dollars for the purchase, and stockpiling of the antiviral medications Tamiflu and Relenza. This plan is a nice way to get martial law back on the block too. 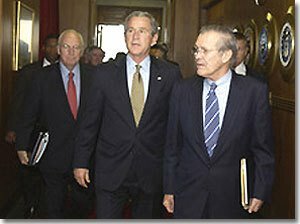 He is asking just as he did to get his war into Iraq, and how can congress say no? This is an insane conflict of interest, just as the cheney halliburton conflict of interest. We allow the government, at all levels, and all political parties to profit from their own policies, leaving the american people with the bill, and the FEAR. This abuse of our democracy, Is right under our noses, but we find our media, and our so called journalists sipping from the Bushco chalice.